My wife and I walked in to find a nice machine made rug with an oriental design. The hand made rugs are out of my price range, and the rep (Amit) was extremely helpful. We found a few really nice rugs that go so well together although they are all different. After consulting with my mother, who has over approxinmately 35 years as a manager or owner of a flooring business, we found out that we got a really good deal. Amit is a trustworthy salesman. Thanks, the rugs look great! 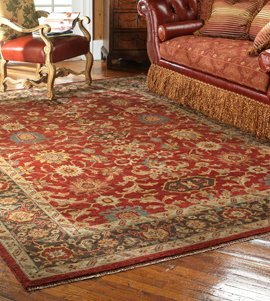 I cannot patronize any other company than this in terms of giving rugs a perfect care. The washing of rugs is 100% as they are very dedicated and professional. I have been using the company for some years now and they have been awesome using the latest technology for cleaning, repairing and restoring my rugs. Thumbs up! It’s always been a dream of mine to own a luxurious and beautiful hand-woven oriental rug. I don’t have a grand palace, just a little home, but my rug from you has helped me transform my little house into something grand. This rug is an heirloom. The prices are so good, the selection was mind bogglingly impressive, the customer service was superb. I am very happy with the work done. The repairing and cleaning work was very well done, my 45-year-old antique carpet looks like new again. The pickup service was quick and delivery was on time. Thank You! These guys are very good at what they do. I have been using their services for over an year now. Never had any complaints. I recommend them highly. I really adore this place! Great carpets and exceptional service! They are the best in the business. We have been using them for a few years now, never had complaints. Keep it up! I took 4 rugs to them for Cleaning and Repairing and was very happy to see that they did very good job.They made the old rug look new and took care of pet stains as well.I think the experience of the owner comes in handy.Will be back to get some new rugs for my hall. Knowledgeable, professional, kind and a pleasure to work with. Great selection and high quality merchandise. Would strongly recommend. Excellent collection of rugs...the best. Got a beautiful Saruk here at amazing price. Also loved their service. Highly Recommended. One of the best retail/wholesale store in USA. Direct Importers and manufactures of Oriental rugs. Have hardwood floor and great lightning in thier showrrom. If you want the best then it does not get better than this. Wow!!! what a rug...love it. Amazing people and beautiful rug. Great dealer. Please visit this place for their amazing rug collection.